Colin Morgan är en skådespelare. Han föddes i Armagh, Nordirland, Storbritannien den 1 januari 1986. Han är känd för bland annat Legend (2015), The Huntsman Winter's War (2016), Testament of Youth (2014), Parked (2010) och Island (2011). 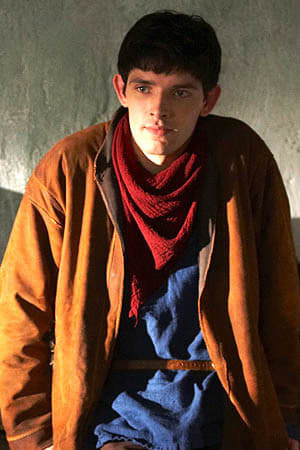 Huvudbild: Colin Morgan. Foto via The Movie Database. Född 1986-01-01 (33 år sedan) i Armagh, Nordirland, Storbritannien. Vad du tycker om Colin Morgan? Starta en diskussion om Colin Morgan med dina vänner på Facebook eller Twitter! Colin Morgan (born 1 January 1986) is an actor from Armagh, Northern Ireland, best known for playing the title character in the BBC TV series Merlin. Colin went to Integrated College Dungannon and, during his third year, won the 'Denis Rooney Associates' Cup awarded to the best overall student of that academic year. After gaining a National Diploma in Performing Arts (Acting) and studying at Belfast Institute of Further and Higher Education in 2004, he went on to graduate from the Royal Scottish Academy of Music and Drama in 2007. In November 2010 The Belfast Metropolitan College honoured Colin with an Award of Distinction for his contribution to the arts.